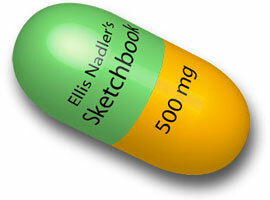 Ellis Nadler's Sketchbook: Whatever Necks? 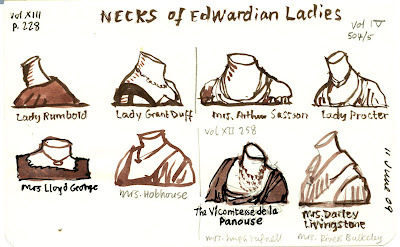 A page of Edwardian Neck research. Brushpen and pencil on Moleskine notebook. 14cm x 9cm. Click to enlarge. Looks liek in the early 20th century ladies were mostly wearing their necks cropped. You've just reminded me, must put the rest of my wee novella that I wrote in 1997 up on line.